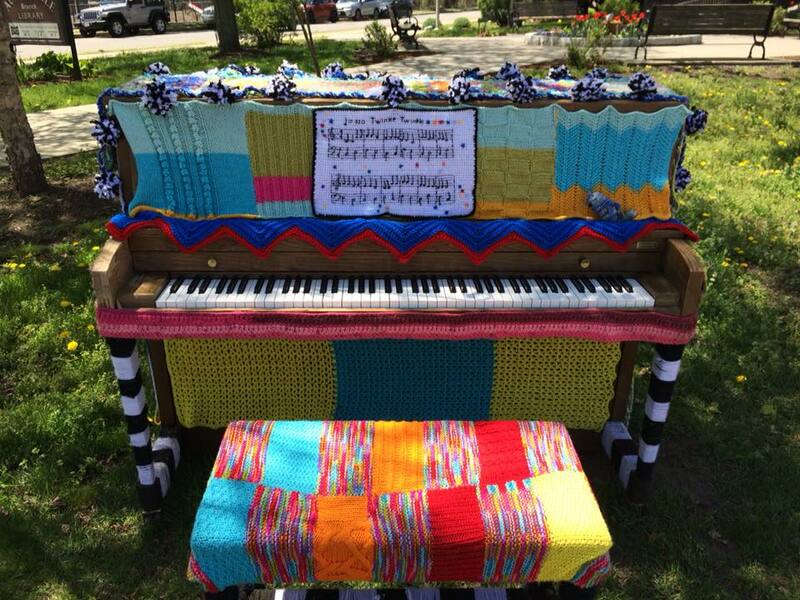 Welcome home to our fantastic Newton Community Pride Artful Piano entitled “Completely Blanketed”. This piano was created by many Newton Needlers under the crafty direction of Paula Gannon and village life phenom Maria Arvelo. We’re always looking for helpers to assist Breadsong Bakery care for the piano each day by covering and uncovering it with the tarp and bungee cords. Would you be willing to take a shift sometime over the month of May? Please contact Dana at danakhanson@gmail.com to sign up for a day that works for you.